Posted on September 28, 2018. Subscribe to our blog by email. PATH’s new Kenya country director discusses his personal ties to HIV prevention and his plans for PATH in Kenya. Anthony Okoth has worked to improve Kenya’s health sector for over two decades, strengthening health markets and tackling the most serious health challenges affecting vulnerable Kenyans. Since 1992, our Kenya program has supported and empowered millions of Kenyans, creating a healthier future for families, communities, and the country as a whole. 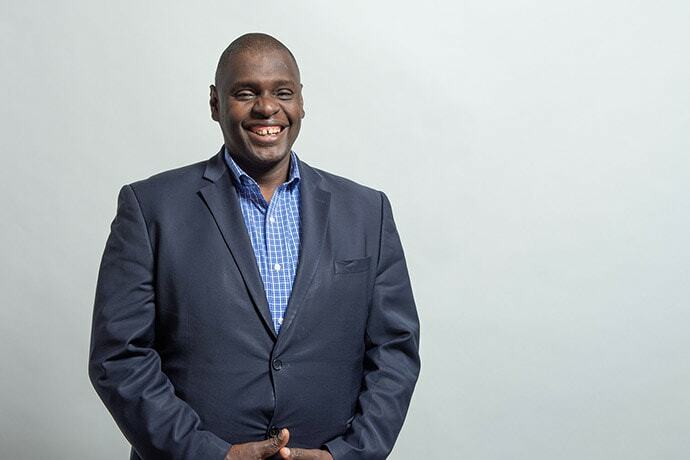 Our longstanding partnerships are key to our success, and we are delighted to welcome dynamic new leader Anthony Okoth as PATH’s Kenya country director to move those partnerships forward. PATH’s long history and broad reach in Kenya allow us to identify, implement, and evaluate solutions at a very large scale. For example, the AIDS Population and Health Integrated Assistance (APHIAplus) Western project, which we lead, works with more than 800 public and private health facilities to strengthen and integrate services for HIV; tuberculosis (TB); malaria; maternal, newborn, and child health; nutrition; and reproductive health. We caught up with Anthony over a cup of Kenyan tea to learn a bit more about his background and plans for PATH in his rapidly changing country. Good morning Anthony, when did you know that you wanted to go into public health? I lost two of my siblings to HIV, which was terrifying. This inspired me to join the public health sector. I developed a deep interest in HIV as a whole and in nongovernmental organizations working in HIV treatment and care specifically, then I joined the Clinton Health Access Initiative to run their HIV program in Zambia in 2009. I believe my personal experience working with people living with HIV, especially those in my family and community, has shaped me into a strong and resilient public health advocate. Tell us a bit about your career before you came to PATH. What were the most significant projects you worked on? I started my career as a researcher, and then joined the pharmaceutical industry. I first worked as a medical detailer and then moved up the ranks to a management position. I managed marketing for fast-moving consumer goods and pharmaceutical products, and I worked with big companies like Eli Lilly, GlaxoSmithKline, and Sanofi-Aventis on projects for noncommunicable diseases (such as cancer, diabetes, and heart disease). Most recently, I worked with the Clinton Health Access Initiative as their Zambia country director, and then spent seven years with Population Services International (PSI) as their Kenya country director. At PSI, I oversaw the aggressive expansion of private-sector clinical social franchising and services delivery, medical detailing, and provider behavior change interventions in clinics and pharmacies, among many other tasks. 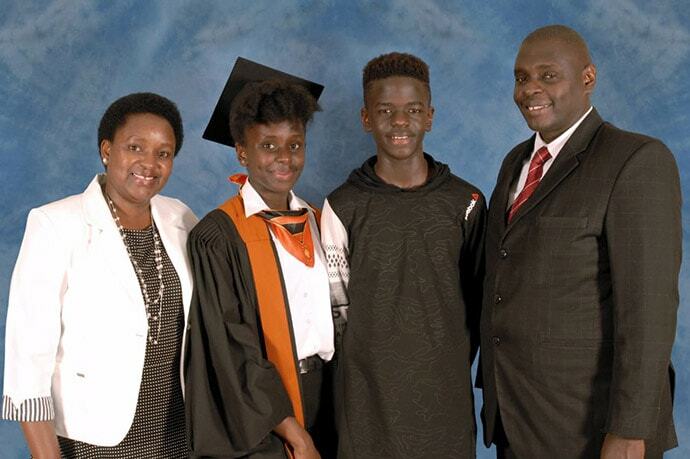 Anthony Okoth with his family. What are you most excited about regarding this new role with PATH? PATH has a great reputation for developing high-impact, low-cost solutions in Western Kenya, where we work in more than 800 health facilities. We enjoy good working relationships with the health ministry, donors, and implementing partners; we also have excellent relationships within the public health sector at the global level. This gives us an edge in driving positive health change, and I must say it is very exciting being a champion of PATH, both in Kenya and beyond. What makes Kenya’s health care system unique compared to the other countries where PATH works? Kenya was recently elevated from low- to middle-income country status, which translates into a lot of opportunities for social enterprises and innovations in alternative financing. My team at PATH is working to identify new financial models to ensure we can sustainably support our health programs and initiatives and make good health care accessible for everyone. We must ensure that we are well placed if we want to reduce the country’s disease burden. Members of a youth support group backed by the APHIAplus project. Photo: PATH/Peter Abwao. Where do you plan to start with your work in the Kenya program? Along with creating new financial models for our work, I am especially focused on two high-need areas: HIV prevention and treatment, and advancing primary health care. PATH leads the biggest HIV program in the sub-Saharan region, impacting many lives by increasing access to treatment options and reducing transmission. We have more than 125,000 people on HIV treatment, and more than 1 million people are now being tested for HIV annually. Still, we have a way to go, and we are building on our historical knowledge of effective public health approaches to integrate new techniques for better health. One such initiative involves incorporating noncommunicable disease prevention efforts into our programs to ensure we become a center of excellence in achieving the ambitious 90-90-90 global agenda to end the HIV epidemic. 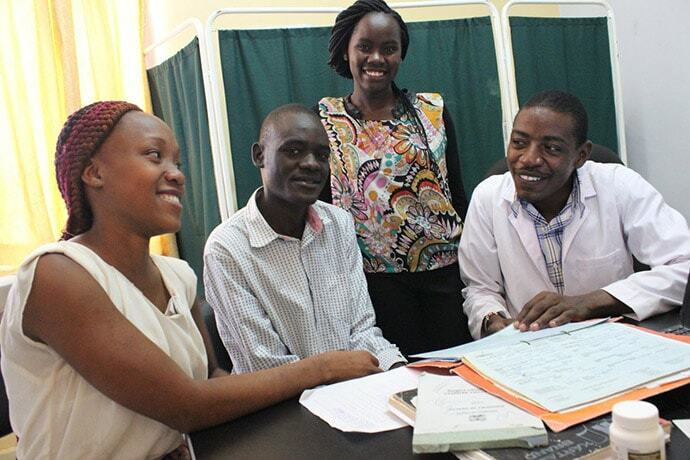 PATH is also advancing primary health care efforts, which is a priority for the government of Kenya as well. We’re helping to advance primary health for all and increasing access to essential health services. What major challenges have you faced in the course of your health career? Do you foresee facing these same challenges in your new role with PATH? My journey in the public health sector has not been without hiccups. In many of my past roles, I experienced program interruptions and staff downsizing because of fluctuating monetary commitments from donors and a lack of stable funds. These unexpected eventualities cause a big struggle; the disruptions leave health programs approaching the point of diminishing returns for their success and staff. As a result, I am passionate about developing social and financial enterprises at PATH that will help us and our partners achieve financial independence so we can grow our activities and improve our sustainability. 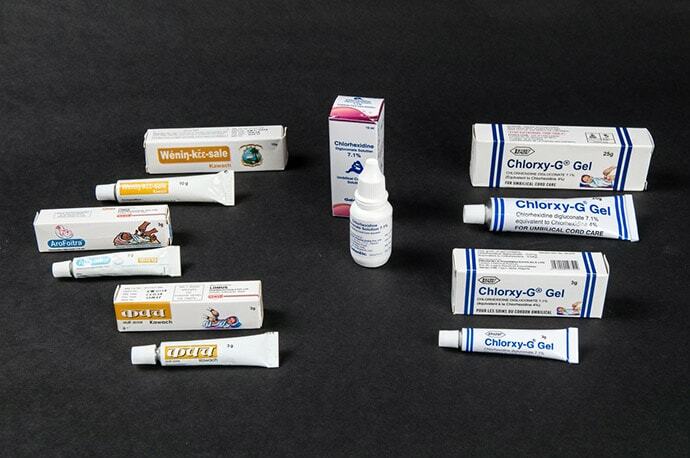 Chlorhexidine gel for umbilical cord care has proven critical in averting neonatal deaths. What motivates you to keep working in the public health sector? I’m greatly motivated by the huge health effects that low-cost interventions can have on public health. For example, consider the use of chlorhexidine for umbilical care, which has resulted in major reductions in neonatal mortality. Or consider the use of the uterine balloon tamponade, which reduces postpartum hemorrhage, saving the lives of mothers. Both technologies are low cost, but they have far-reaching benefits. Working in this sector is never boring. New problems are always arising while old ones are reined in, and the global situation continues to change year after year. This evolving landscape keeps me on my toes; I have to constantly adapt my approach to have the greatest possible impact here in Kenya, throughout the sub-Saharan region, and across the world. Learn more about our work in Kenya here.